This post is sponsored by Heidi Swapp. I was selected for this opportunity as a community member of Snap. As always, all content and opinions are my own. A little over ten years ago, I worked part-time at a scrapbook store while I was in grad school. I was in love with all things scrapbooking and creativity while I was working on my degree in actuarial science (not a typo). At the time, I quickly became obsessed with a talented lady by the name of Heidi Swapp. 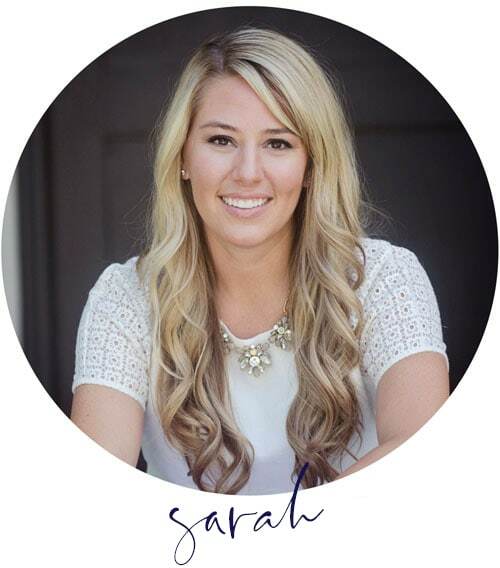 As you know, I’m a huge calligraphy, handwriting and font fan, and Heidi had me completely hooked with everything she did. I bought her book to try and learn to write like her, and needless to say, I spent most of my earnings on her line at the time! 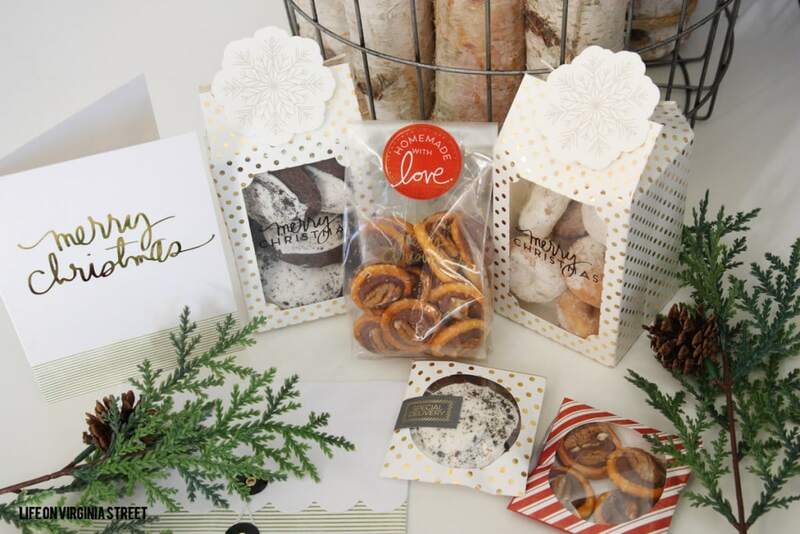 This year, Heidi Swapp launched and all-new holiday line and I knew I needed to use it in my gift wrapping this year. Most years, by the time I think about getting neighbor Christmas gifts together, the holiday has passed and it seems obsolete. This year, I am really excited to pull some things together with this fun new holiday line from Heidi Swapp, which is found exclusively at Jo-Ann Fabric and Craft Store (in stores and online). Check out the packages I made earlier today! In anticipation, my husband and I made one of our favorite treats ever today. Pretzel turtles. My sister-in-law and brother-in-law make massive batches every year and we can’t wait to receive them. 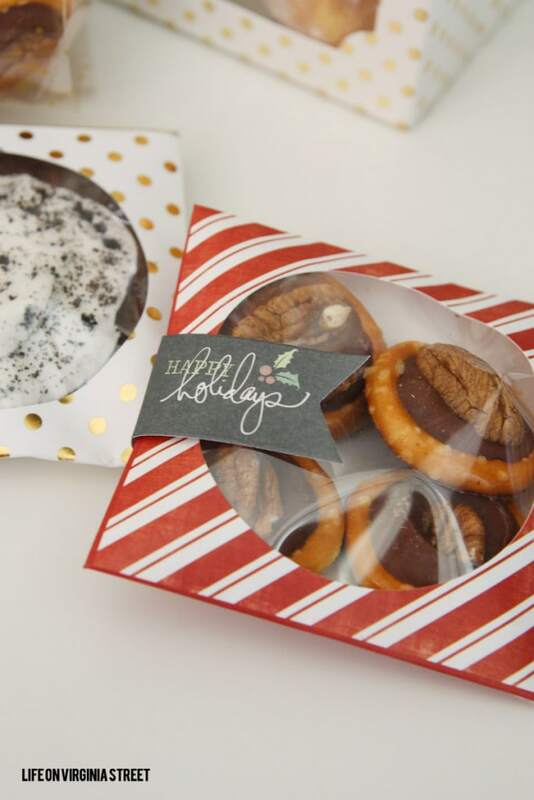 They are super easy to make, taste amazing and look adorable in this fun Heidi Swapp packaging. Ingredients needed: bag of pretzel rings, bag of Rolos and a bag of pecans. You would need to multiply this based upon the number of batches you make and the quantity you want to hand out to each family. Cover the tray with the pretzel rings. Place one Rolo in each ring. Bake for 3-5 minutes. The Rolos do not need to be completely melted. 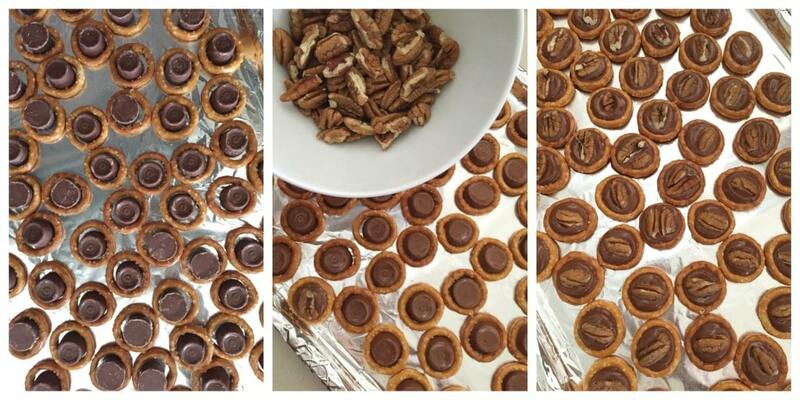 Remove from oven and press one pecan into the top of each Rolo. You can also use plain M&M’s if you aren’t a nut fan. Allow to cool (you can also place them in the freezer for a bit so they harden better). I promise they are the tastiest treat ever! 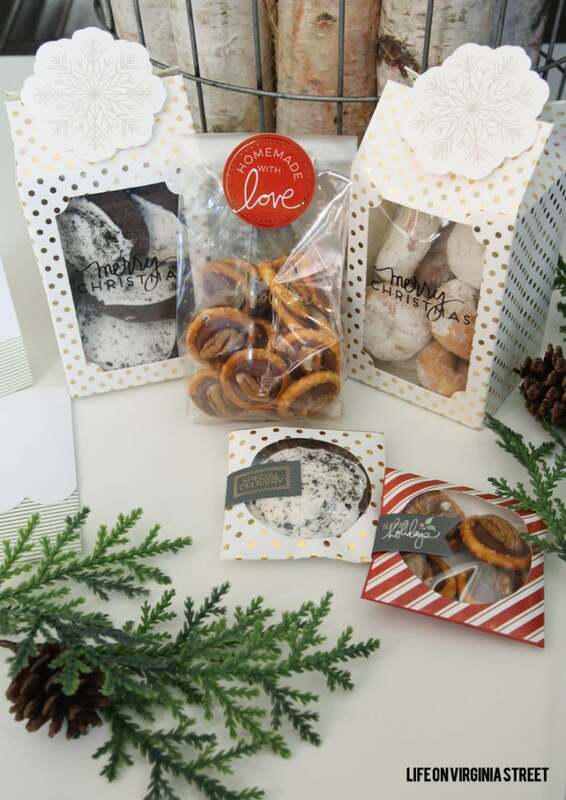 If you’re short on time, or this sounds like too much work for you, grab some tasty holiday cookies or mini donuts, add some of the Heidi Swapp pretty packaging, and you’re good to go! I promise your neighbors will still love you! Can you see why I always loved Heidi so much?! So good! 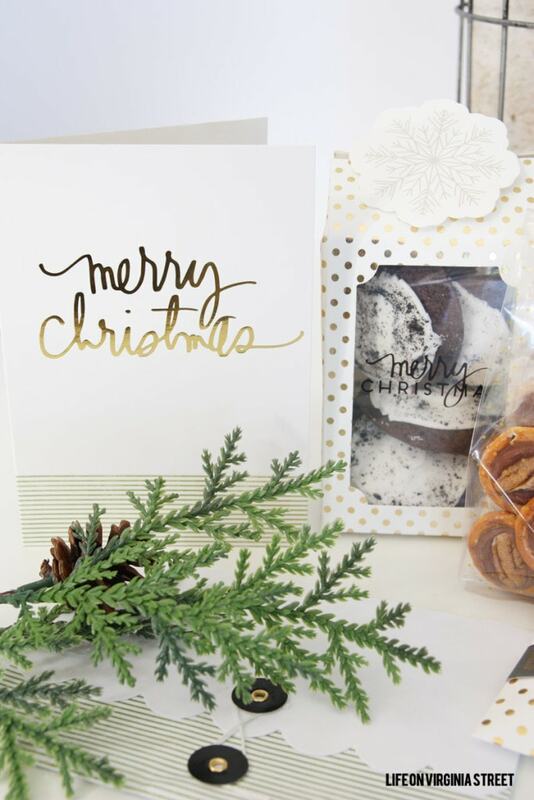 Each Jo-Ann store has limited amount of the Heidi Swapp holiday products on hand, so if you love this as much as I do, you’ll want to stop in ASAP! You can also shop Jo-Ann’s online store. 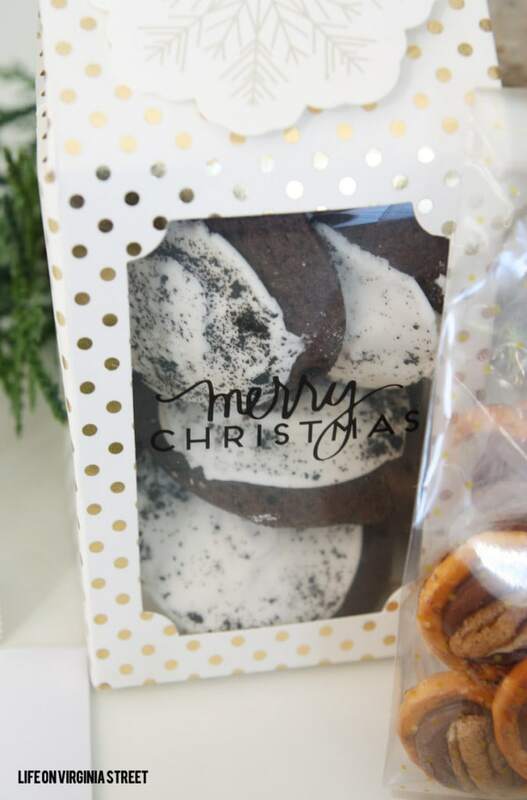 There are so many gorgeous items in the line including cookie cutters, stamped rolling pins, snow globe kits, screen printing and so many more fun items! 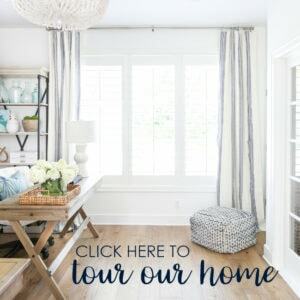 A big thank you goes out to Heidi Swapp for sponsoring this post! What’s your favorite go-to neighbor gift? OOO it all looks so yummy! and those packages are adorable! I need to pick up a few for the holidays! Homemade treat gifts are the best! And they look incredible in Heidi’s packaging! Thanks for the recipe for the turtles! Oh my gosh those Rolo things look so yummy and the packaging! Swoon! Oooh, I’m such a sucker for pretty packaging! I definitely need to check out this line. This is an awesome neighbor gift idea! Thanks for the inspiration.